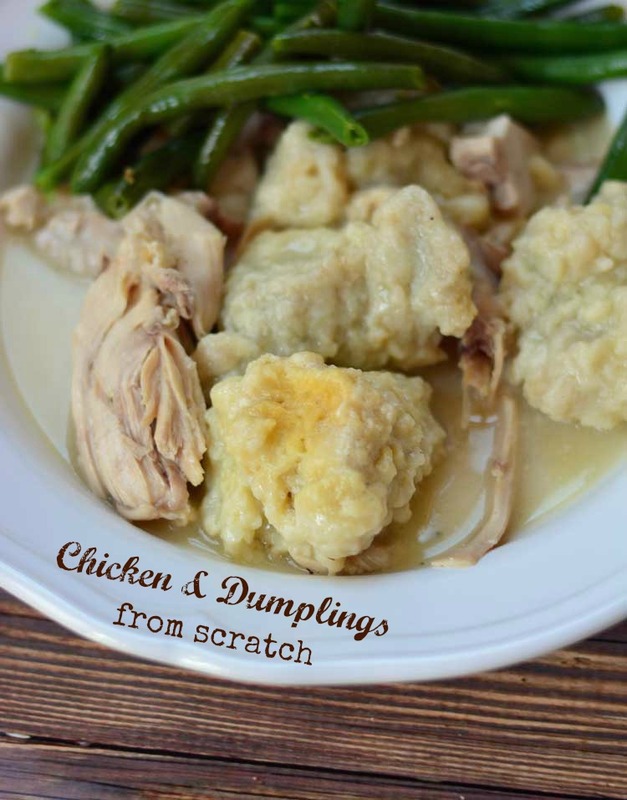 Make chicken and dumplings from scratch without canned soup or canned biscuits! 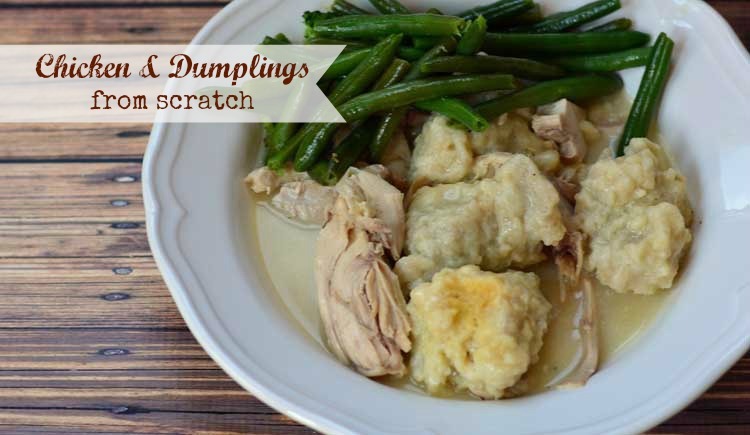 Leftover chicken is combined with a tasty gravy and easily made dumplings for a chicken and dumplings everyone will love. For some reason last week I got it in my head that I needed to make chicken and dumplings. I've only had chicken and dumplings maybe twice in my life, but it just sounded yummy. The problem was that I wanted a from scratch recipe that was fairly easy. I didn't want any canned soups or canned biscuits, but I also didn't want to spend all day in the kitchen. I finally happened upon a chicken and dumplings recipe from Boo Mama that looked like it would fit the bill. And boy did it ever! 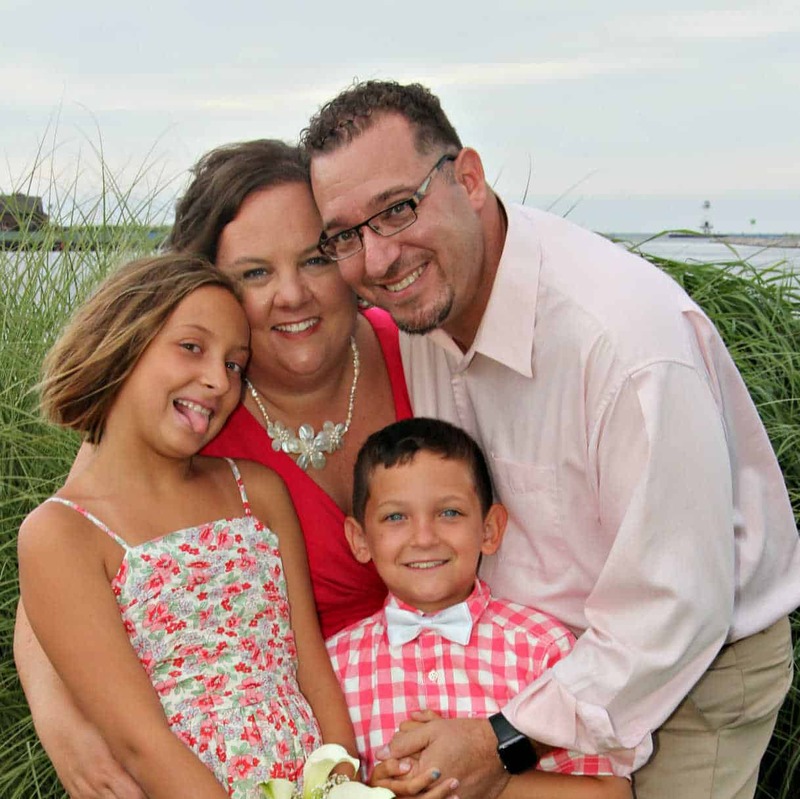 You can head over to Boo Mama to check out the recipe. I didn't really make any changes except I used leftover chicken instead of buying rotisserie chickens and I used homemade chicken broth instead of boxed. I also swapped out the water with even more chicken broth for more flavor. I loved the depth of flavor the Worcestershire adds to the gravy. I wasn't sure about adding veggies to the mix so while the dish rested for 15 minutes before serving, I steamed some green beans. I think next time I'd add some carrots and corn right in to the gravy. 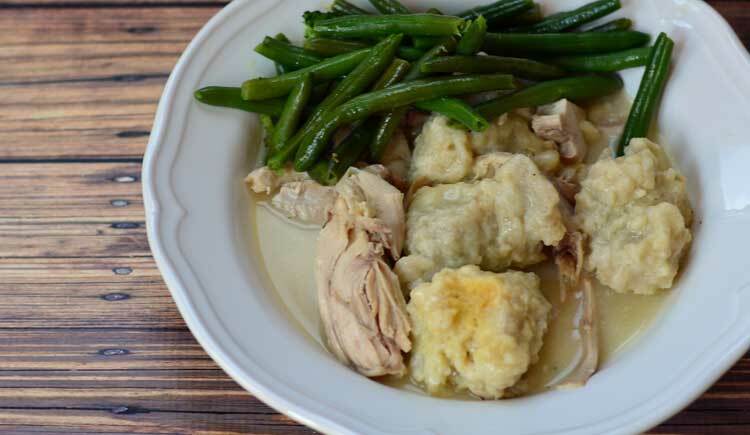 Either way this chicken and dumplings recipe is just down home, good food!